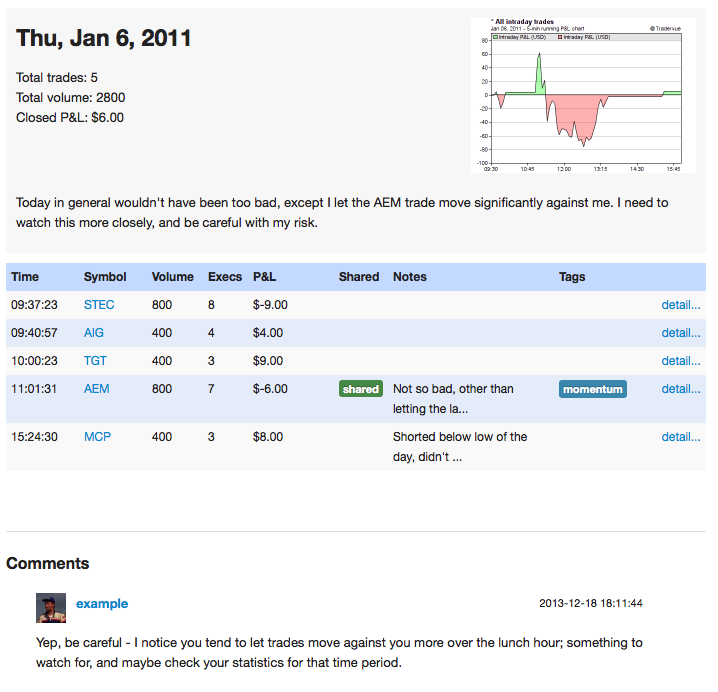 For folks using the mentor/coach features in Tradervue, we’ve always had the ability to leave private comments on trades, only visible to the trader and the mentor(s). 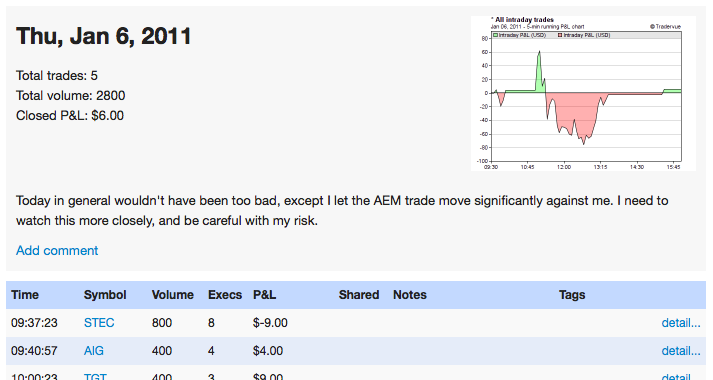 These comments are, of course, only visible to the trader and the mentor(s). Notifications work similarly to trade comments – you’ll get an email if a new comment is left on one of your entries, or an entry you’ve previously commented on, and you can turn off notifications on a per-entry basis.